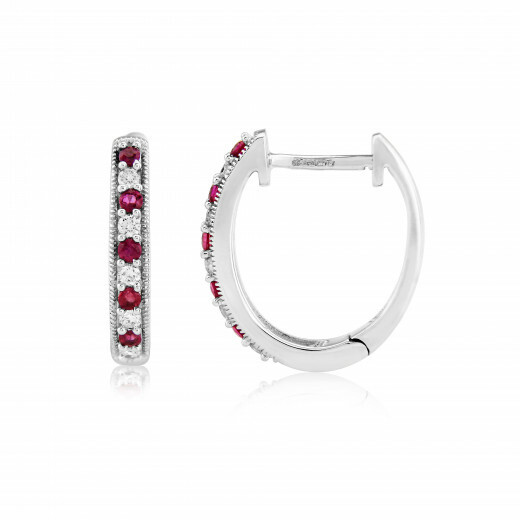 White Gold Earrings with alternating Rubies and Diamonds and a minutely textured edge. 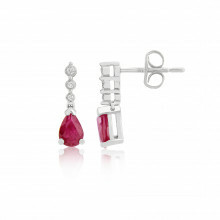 Chic and sparkly, these Earrings will bring elegance and understated glamour to your night out. Made with an easy hinged hoop fitting. Makes a fabulous gift (so drop a hint!) 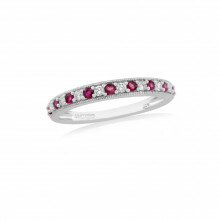 particularly if you have Ruby (July) or Diamond (April) as your birthstone.